Its been about a week since I put up a posting, but expect a flurry of them now. 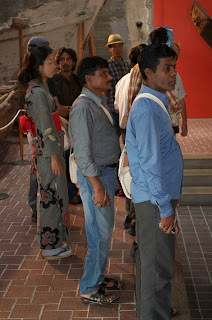 Later today we have the launching of the Bengali boat. 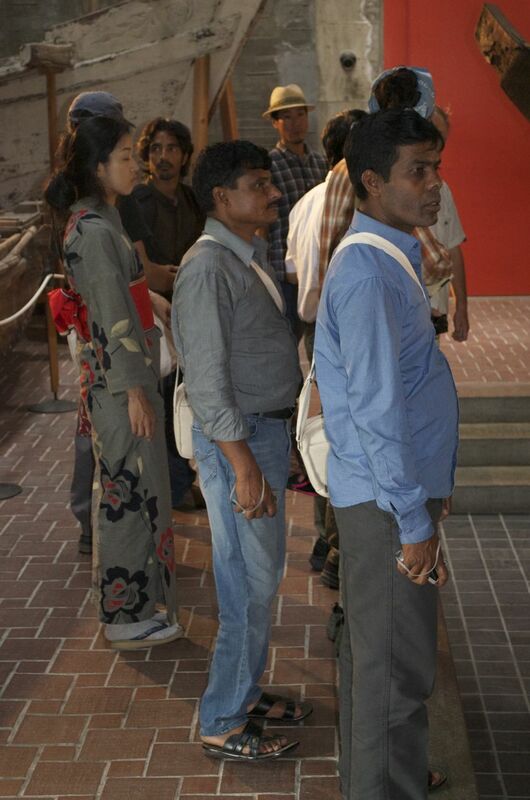 Earlier this week we took the Bengali boatbuilders to the Seto Inland Sea Museum, probably Japan’s oldest maritime collection. 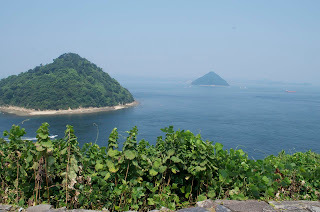 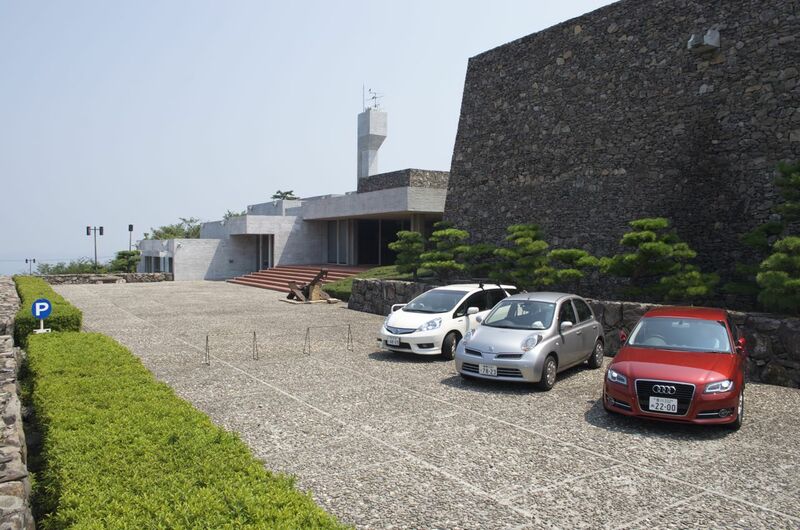 The museum is located high on a peninsula with a panoramic view of the Inland Sea. 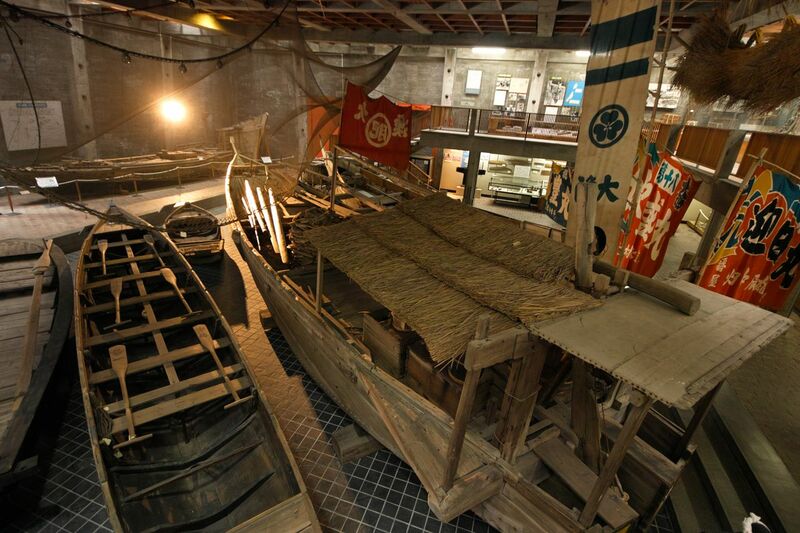 The collection is fascinating, focusing on the rich traditions of fishing and seagoing trade of this part of Japan. 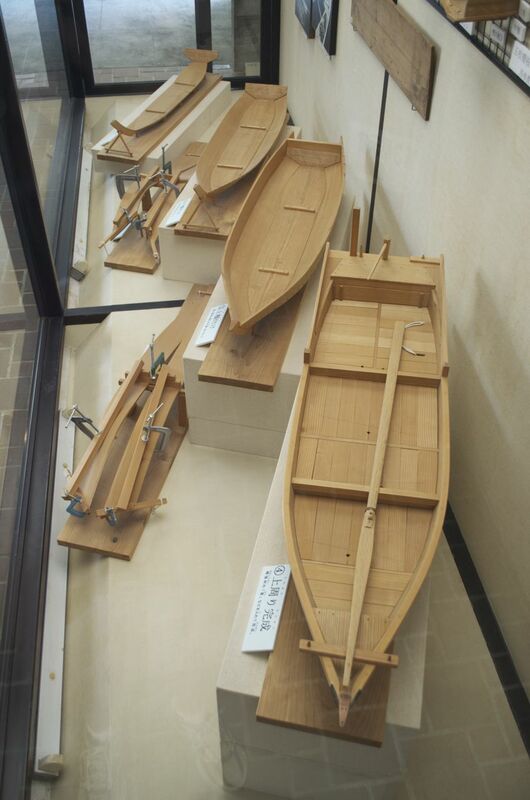 The lines drawing we are using to build our boat comes from the museum’s collection. 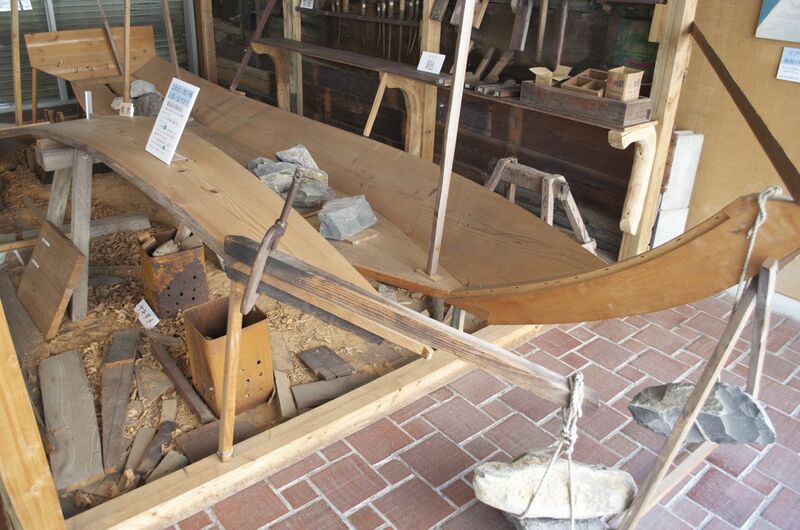 There is an excellent mockup of a boat shop inside the museum, with a partially built boat inside. 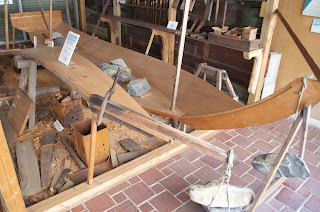 Next to the boat is a plank being bent, using the same method we used (note the stone used for a weight), right down to the tin containers for fireboxes. 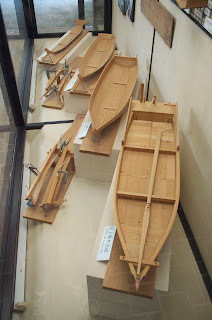 A series of models shows the steps in building a small boat, as well as an interesting method for bending planks when it is not possible to prop them overhead, or the boatbuilder has large clamps. Another display shows the steps in sawing between planks to finish the seam, and the use of chisels to cut mortises and pilot nail holes. One final detail captivated me: in Japanese boats often athwartship beams are tenoned through the hull, shouldered on the inside. 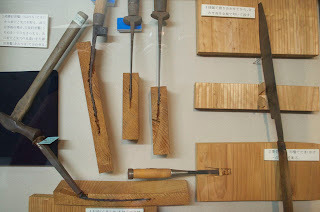 Often the tenons are cut flush and covered with copper (what we will do on our boat) but in larger boats the tenons are exposed slightly and wedged. 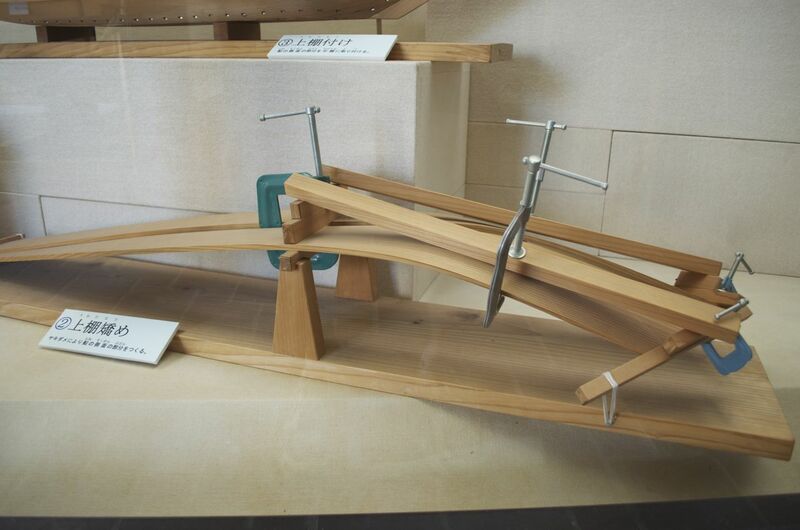 I have never seen anything like the wedging of the tenons on one large boat at the museum. 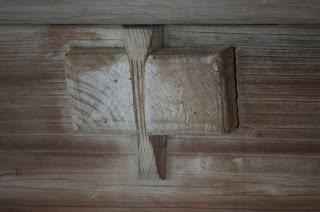 Its really a key, dovetailed in cross section and tapering from top to bottom. 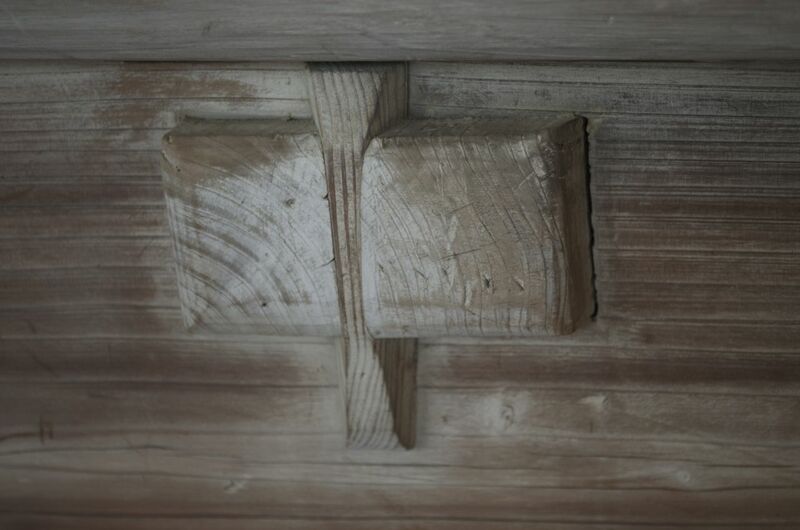 The timber on top is the rubrail, which locks the key in place.